You know your creative indie brand needs a website, but you might not know how to make the best one possible. Well, we’ll get you pretty darn close. If you’ve built your own website, you’d probably benefit from a one-off consultation session. We can take you through why your website isn’t working, and teach you how and why to fix it. We can also do it all for you. We’ll build you a superb WordPress website that does exactly what you need it to do, including all the basics like social media integration, an online shop, blog and tracked contact forms. Your new WordPress website can then be enhanced to grow with your lovely business, so you can keep bossin’ it online too. We built pretty darn lovely websites, just like this one right here. We don’t cut corners, and we don’t cut features. You can have a full ecommerce set up, booking system, social integrations, a brilliantly beautiful blog, contact forms, and well, anything your website could need. Oh gosh we love a good ecommerce website – which is handy because we make great ecommerce websites. We design beautiful online shops using WooCommerce for WordPress, a powerful and robust solution that can be tweaked and enhanced for your business needs. We work with indie brands that have a creative, design or feminine focus. If your business fits this description, pop over to our contact page and send us an enquiry via our short form. 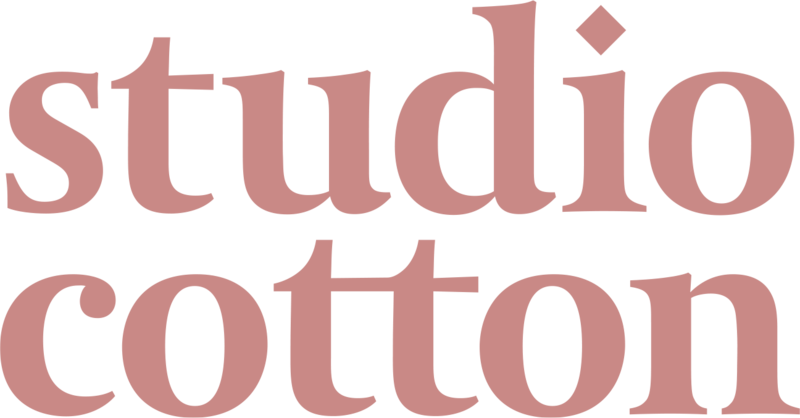 We’ll give you access to your personal Studio Cotton quote builder where you can customise your website project. Once you’re happy with the scope of your website, we’ll discuss timelines, technology, worries & goals over lovely lattes. Most importantly, we’ll make sure our two businesses are a match made in heaven. If you think we’re the website designers for you, that’s awesome. We send you a contract for our services, and an invoice for your deposit. We’ll book in your website project and agree a timeline for delivery. It’s your time to relax, we got this. We’ll create the WordPress website your business needs using your brief, scope and a few tricks up our sleeve. We’ll send you a link to preview and play with the first draft of your site. Check out every page, click every button and tell us exactly what you think. Send us a list of all of your amends, no matter how small. We’ll execute these changes across your site, and then book in our official website handover. Following our training session, you’ll have the ability to edit and change any content directly, add any final details, and get to know your website management system. We’ll make any final tweaks you’ve spotted during your handover, cover any how-tos and prepare your website to go live. With one word, we’ll pop your website online – simple as that. We’ll send your website off to the search engines, configure your analytics and perform a few extra checks to make sure everything is A-OK.
As well as our customary 2-day, 2-week and 6-month checks, you’ll also receive complimentary technical support for your first year post launch. Noice. Need a little extra website support? Sometimes you just need a little one-off help with your website, or want to build on your already awesome Studio Cotton shop with competition landing pages, seasonal look books and more. We provide extra support, design and build services by the hour. You can sign up for a regular monthly allowance or ask us about a specific project at any time. or call 0117 244 0030.